Custom imprint your business name and address (5 lines) in crisp black ink in bold letters. 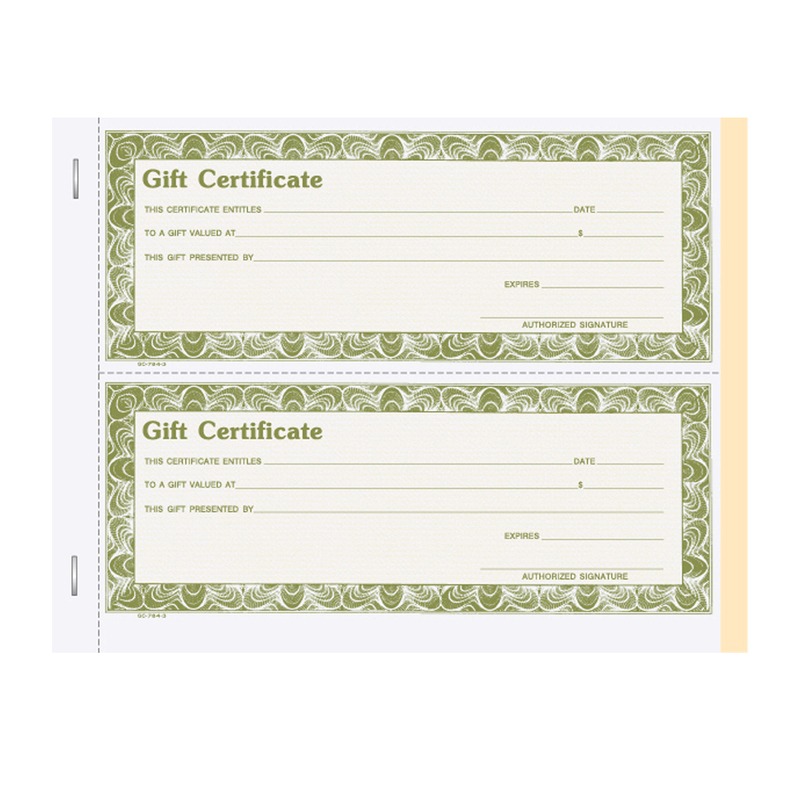 Three-part, carbonless blank gift certificates with consecutive numbering assure accurate, secure records with just one writing. All orders include matching presentation envelopes. Choose a six digit starting number, or we will start with 001001. 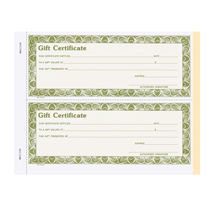 After you enter item(s) in shopping cart, enter your store name, address and six digit starting number as you would like it to appear on the gift certificates in yellow box below and click the "Yes" button to submit.